HOPE – The Hope Public Schools Board adopted a 2018-2019 budget that is more fiscally conservative than usual Tuesday night in special session. 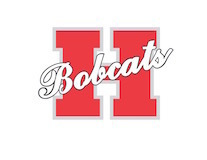 Hope Superintendent Bobby Hart presented the board with the $18.9 million fiscal plan which is some $600,000 above last year, but Hart explained that it is designed to rein-in some costs while benefitting from some savings changes. Changes which have effected some savings in the budget have included a shift to contracted services in the district’s food services and custodial services. Those changes, Hart pointed out, have reduced costs for taxes paid-in, workman’s compensation insurance, health insurance premiums, and salary costs, which are now paid by contractors Aramark and ABM. The 2018-2019 budget reflects a beginning balance of some $4.05 million, which is about $600,000 lower than 2017-2018, plus projected revenue and other balances of about $16.9 million, for total revenue of $20.9 million. That compares with a 2017-2018 beginning balance of $4.6 million and projected revenues and other balances of $17.3 million for total revenue of $21.9 million last year. Hart pointed to areas where the new budget shows increases for district programs, such as an expenditure for new high school band uniforms. “They have done a fantastic job in developing the program,” he said. Hart said growth in the band program has gone from 33 students at Hope High School at the beginning of 2017-2018 to 53 students this fall, and some 125 students in the grades five through seven band program.